If you open the Servo motor Editor, default data from file ServoMotor.csv is shown. You can open other data files by using the file menu. 1. 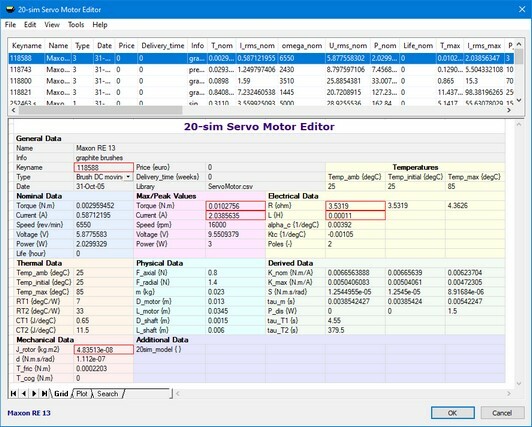 ServoMotor.csv: A selection of various motors to show the capabilities of the Servo Motor Editor. 2. Maxon 2006.cse: The complete list of Maxon motors, program 2005 / 2006. 3. Tecnotion 2006.cse: The complete list of Tecnotion motors, program 2006. 4. Faulhaber 2006.cse. : Most of the Faulhaber motors, program 2006.